Kickstarted: How one company is revolutionizing product development « Adafruit Industries – Makers, hackers, artists, designers and engineers! 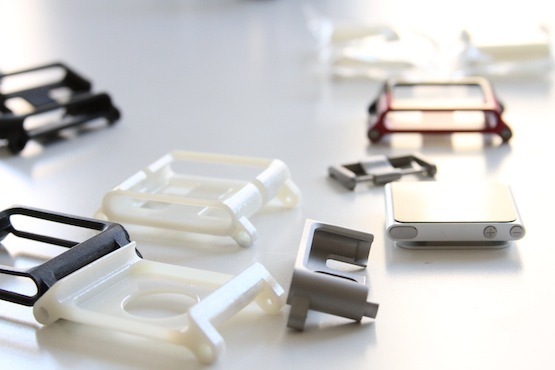 Kickstarted: How one company is revolutionizing product development @ The Verge. The million dollar idea. We’ve all had it at one time or another, with very few luxuries to show for our sudden fits of brilliance. Unfortunately, it’s not the idea but its execution that yields rewards. Faced with the daunting prospect of applying for a bank loan or seeking private investors, most would-be inventors wither against the obstacles, shrinking into the comfort and stability of their nine-to-five lives and disappearing into what T. S. Eliot called the shadow between conception and creation. Never pursuing their passion. Never taking a risk to bring something new into this world. Enter Kickstarter, a thoroughly modern twist on the concepts of commerce and patronage; an approach so alluring that it now counts over one million people who have combined to pledge more than $100 million to fund ideas both big and small, serious and whimsical, since it launched in April of 2009. Kickstarter projects span the creative fields of art, comics, dance, design, fashion, film, food, games, music, photography, publishing, theater and technology. It’s this latter category that interests us and the savvy venture capitalists, manufacturers, and retailers who regularly monitor Kickstarter’s pages in the hope of getting a jump on the next big thing. Massive article about the product developers using Kickstarter. Excellent reporting and article by Thomas Ricker. It’s impacting all over the place. With backpackers it wasthe Backcountry Boiler. I don’t want to be a hater, I really love kickstarter, I’ve funded a few projects and committed to more. Only Americans can "host" a project, I guess this is due to something with amazon and the payment system and taxes and the like, but still. I want to share. I hope it get’s expanded! How is one protected from having their ideas stolen by others or Big companies when they post them to Kickstarter?